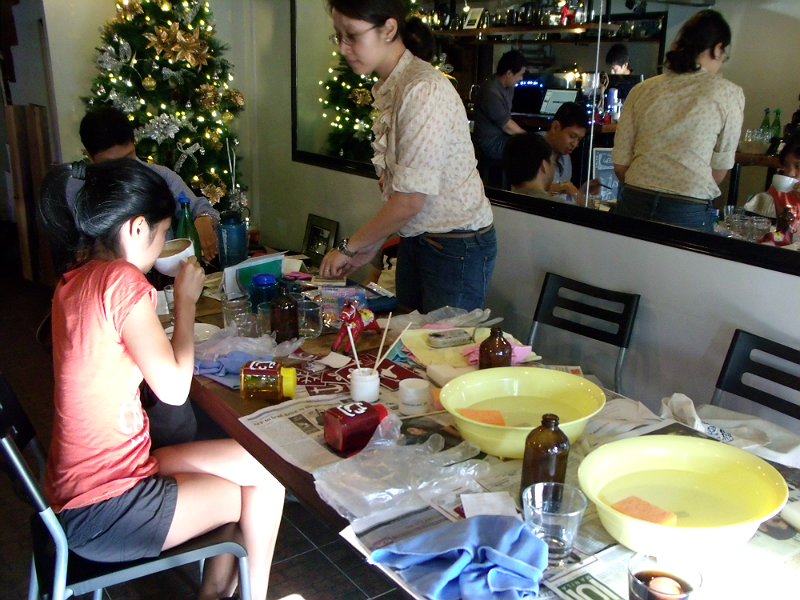 Thought I wouldn't make it to last Saturday's CraftMNL Glass Etching workshop in New Manila. I was quite tired from work, had a few minutes of rest, Cubao traffic was el terible and I was not really familiar with New Manila. Hehe. I still made it in one piece but I was very late. My apologies to everybody. This is part of CraftMNL's 13 Days of Christmas Handmade Gift-Making Sessions for December 2012. I was very excited when I got there. Was actually surprised that Craft Coffee Workshop wasn't really that hard to find. 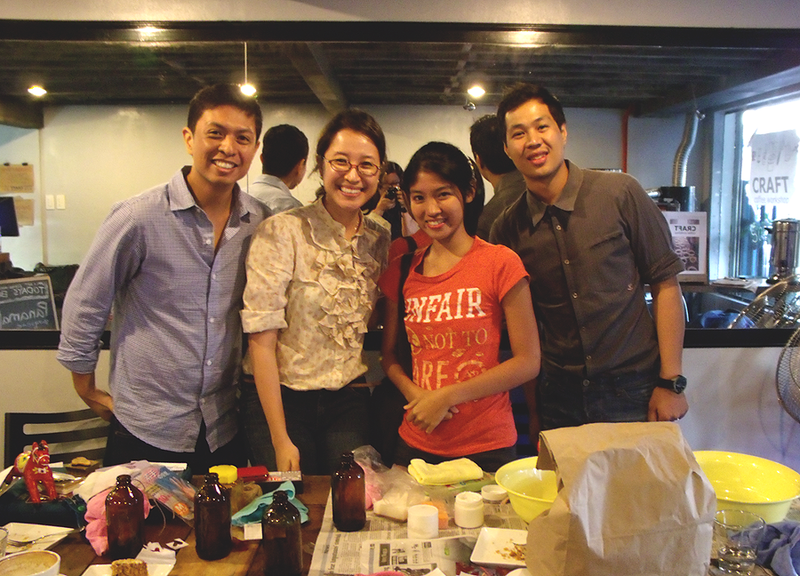 I met Marielle and Alex of CraftMNL, another girl who attended the workshop, Kara Pangilinan, and Craft Coffee Workshop's owner, Sly. 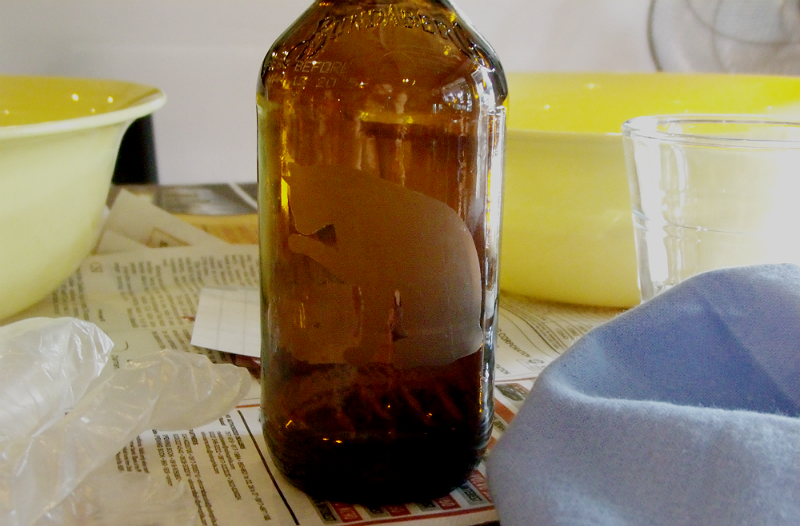 My first ever etched amber bottle! Now, what can I use this bottle for? More! more! more! My freehand "Imagine" design, snowflake, coffee bean mistletoe. 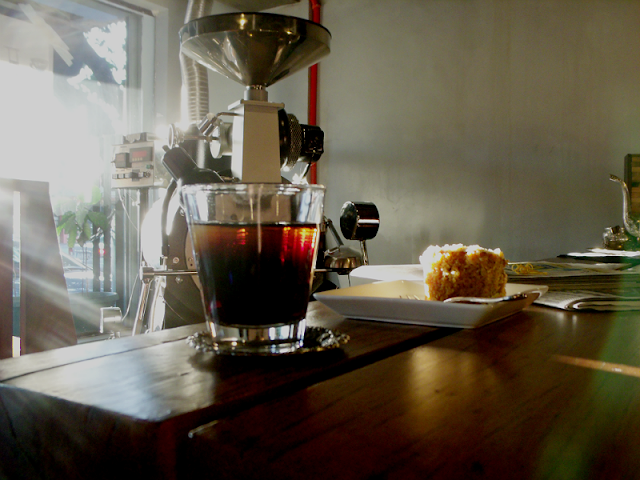 Treats by Craft Coffee Workshop. Cold coffee and carrot cake which was absolutely delicious! I was super excited to learn about CraftMNL's future workshops! Kara and I had too many questions and Yel eagerly answered all! We talked about the other places where the workshops are held, will there be CraftMNL Workshop gift certificates created, availability of the raw materials we just used, other workshops that were finished, everything crafty under the sun! 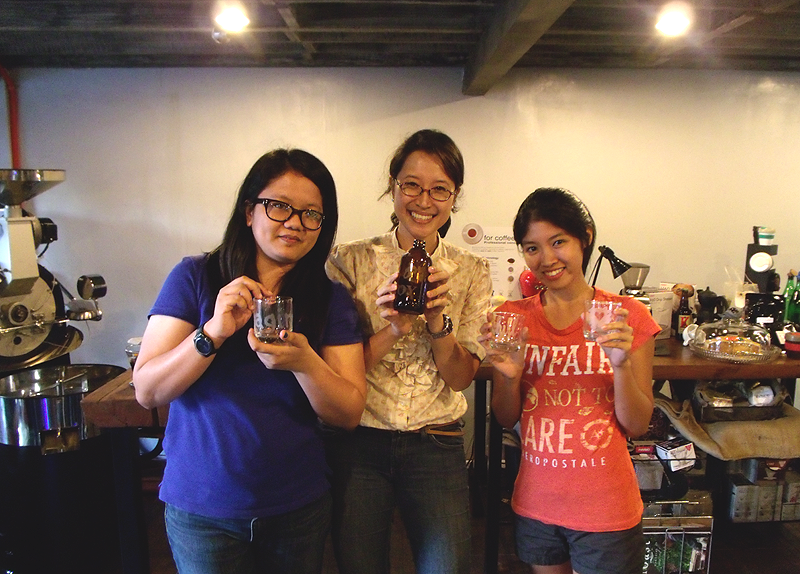 Welcome to Craft Coffee Workshop. 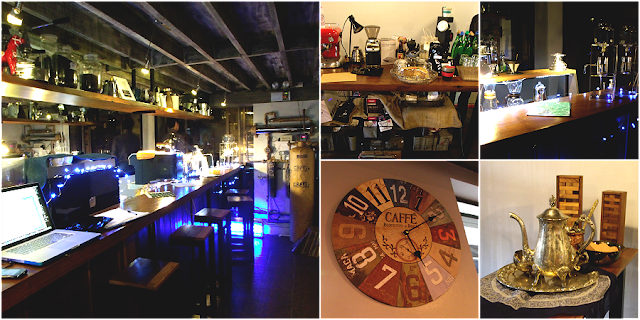 I took photos of the interiors of this wonderful place though silly me forgot to take a picture of the outside. Hah. It kind of feels scientific as much as it shouts coffee because of all the equipment I saw. The place says: this is serious coffee business. Hehehe. After we used up all our glasses, it was time to go. Kara and I both agreed that our first etched bottles were our best, though she certainly made other pretty ones. Also, Kara handed out these pretty envelopes which she personally makes. Such a creative young lady and she's just 18! Sly also gave us 200g of coffee beans which I will be uploading a photo of soon. Yay for freebies! It was really a productive afternoon for me. 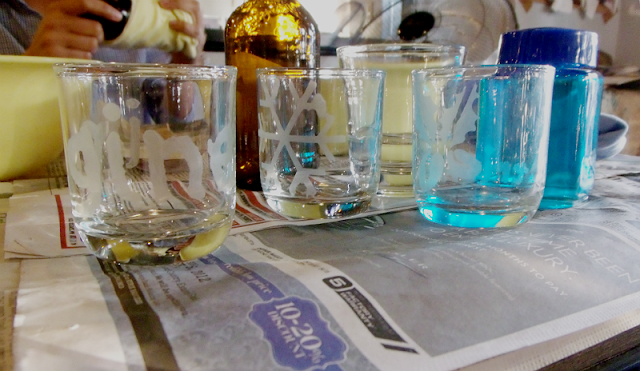 This will be the start of a glass etching obsession for me, I just have to get my hands on a couple of bottles of the glass etching cream. I already listed down ideas/designs I want to etch. I'm just so excited! 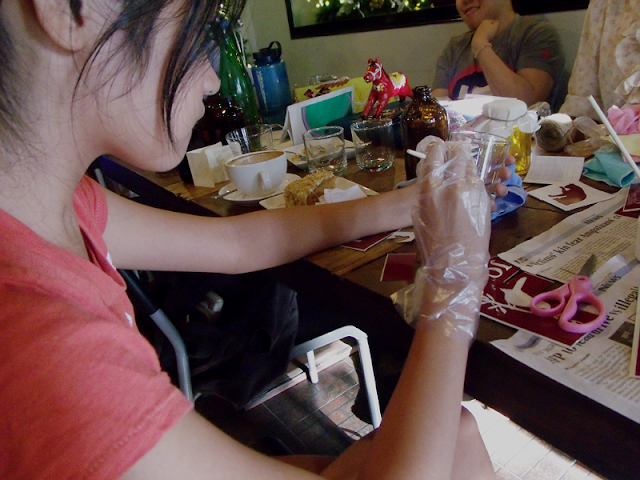 I applaud all the people behind CraftMNL for having all these workshops. 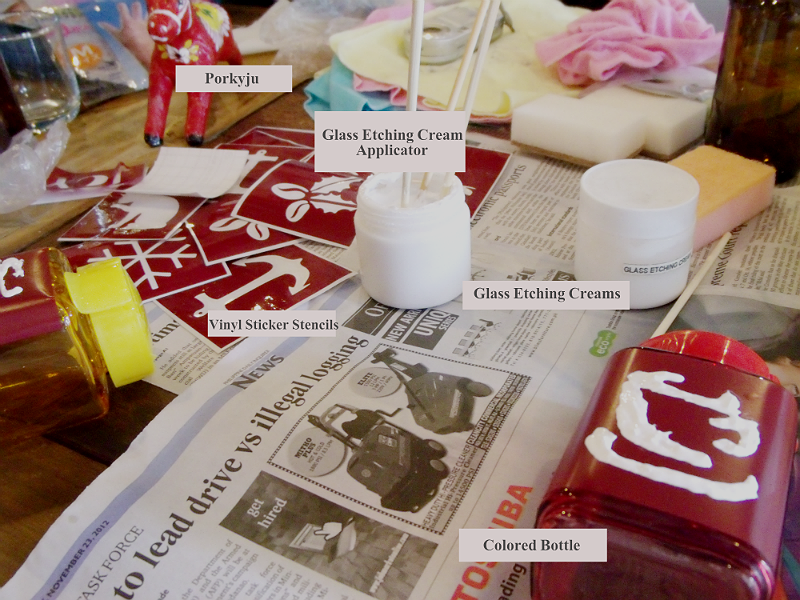 DIY is fun, creative and indeed adds a personalized touch. You really can't go wrong with it!